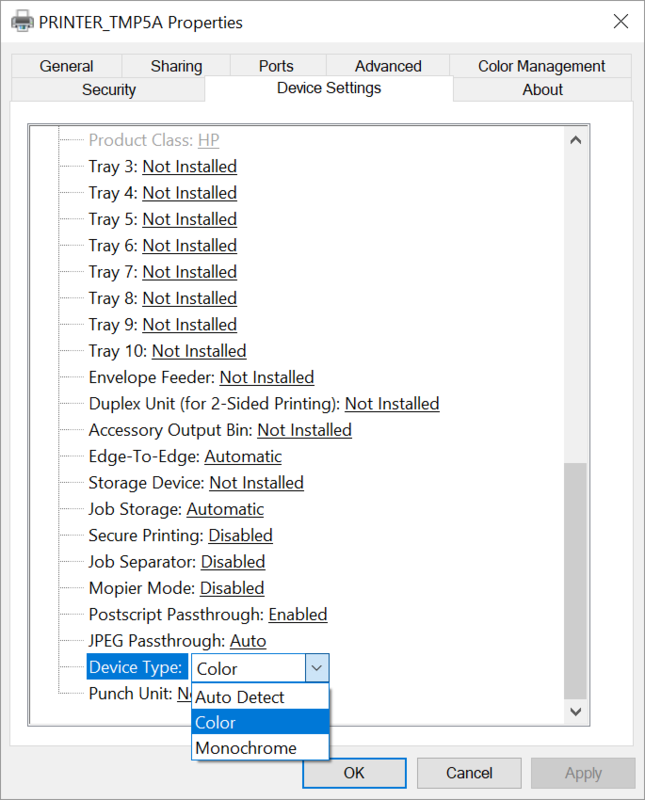 *Install the HP Universal Print Driver in Traditional mode. Select Device Type and select Color if it is a color printer, otherwise select Monochrome. If you leave it at Auto Detect then, whenever you open Printing preferences, it will also open a Validating the selected printer… dialog, which will take time and eventually fail. *After you select Update Now the Printer properties dialog closes automatically, preventing you from making additional changes. 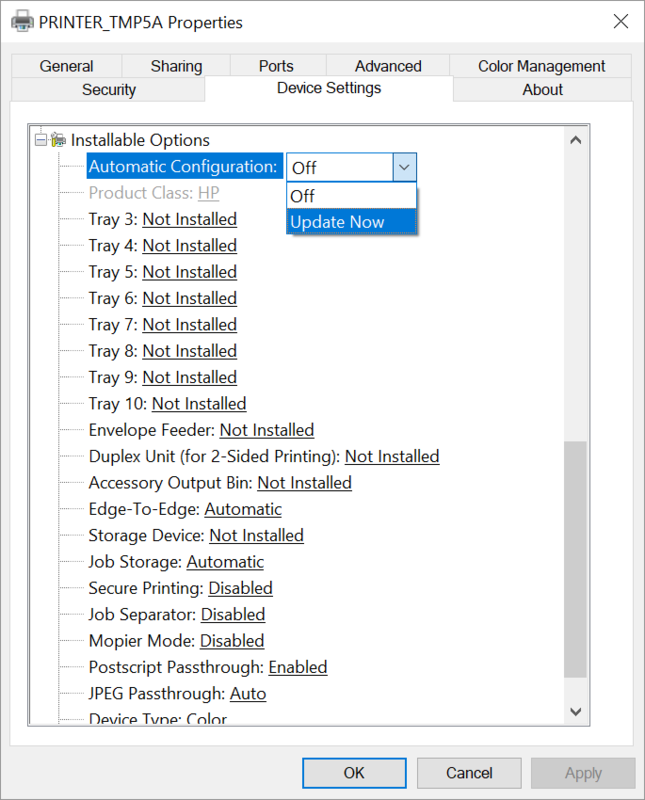 To make additional changes you can modify the print driver configuration.